10 Best Dog Food Brands. One Of Them Is Perfect For Your Dog. If you google the words 'best dog food brands', you'll get almost 710,000,000 results to choose from. That's more than a little overwhelming, and while we all want to make sure our dogs get the nutrition they need, you probably don't have time to wade through that staggering amount of information to figure out what's the best choice for Fido. 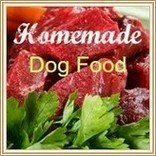 Over my lifetime of owning and raising dogs, I've gained a sound working knowledge of canine nutrition and as the owner of this website I've also undertaken some very intensive research into dog food formulas and manufacturing. 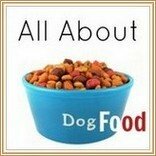 The result is my list of the top ten dog food brands (dry dog food formulas) which are featured on this page. When you're choosing a food for Fido, the most important thing to consider is the quality of the ingredients..... because that's what takes a food from mediocre to GREAT. Wholesome, natural ingredients are obviously best, and you want to avoid artificial ingredients as much as possible. Check out this info. 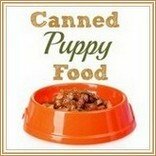 further down the page... What's in your dog food? Organic, grain-free and even vegetarian options are now available in many ranges. Just as there are a LOT of different dog food options to choose from, there are also a lot of different dog food manufacturers. When it comes to the best rated dog foods, the superior ones do cost more initially. 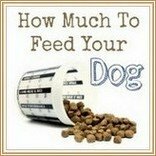 However, the good news is that your dog needs to eat less of them, yet gets a much higher level of nutrition... so they're a lot more cost-effective than you might think. But not everyone's budget can stretch to the most expensive brands. So in my choice of the 10 best dog food brands, I've included a couple of more mid-priced foods that are still excellent in terms of quality and provide really good value for money. Although I can't (and don't want to) tell you what to feed your pet, I hope this information will make it a bit easier for you to choose what's best for your dog, lifestyle and situation. Please Note! The dog food brands listed here are not in any particular order and the first food isn't 'ranked' more highly than the last. This multi-generational family owned company has been producing quality pet foods for 30 years, and their current lines are second to none! Precise Pet Food offers two different ranges, Precise Naturals and Precise Holistic Complete, each having a grain-free formula available. They also have formulas to suit large breeds, small breeds, seniors and those with certain food sensitivities. Their manufacturing plant is USDA/AIB Certified 'Excellent', has an excellent safety record and no food recalls. All natural, human grade ingredients, naturally preserved, and with several different varieties to choose from. Dry foods are packaged by the company themselves to maintain quality. Owned by Champion Pet Foods, an award-winning, independent Canadian company. 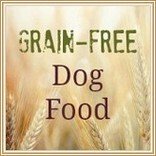 A high-protein, low-carbohydrate and grain-free range that provides a 'biologically-appropriate' diet for your dog. This means that Orijen dog foods are formulated to meet the natural dietary requirements of canines. Made up from 70% meat and 30% fruit and vegetables, this Orijen dog food closely matches a dogs' natural carnivorous diet. Described as a 'biologically-appropriate' diet, Acana foods uses a high-protein, low-carb formula to produce dog food which mimics the natural diet that a dog's body was designed to eat. As with Orijen, Acana is owned by award-winning, independent Canadian pet food company Champion Pet Foods (as is the superior Orijen range). Acana foods are made from only wholesome, fresh and natural ingredients... never frozen, dried or powdered. Totally preservative free. With several different formulas to choose from there's bound to be a food with the ingredients your dog needs, and which suits his size, age, activity level, health and preferences. To maintain maximum nutrients and flavor, all formulas are prepared by steam cooking at Champion's award-winning kitchens in Alberta, Canada. Since it's creation almost 20 years ago, Castor & Pollux has grown to become one of the leading names in natural and organic pet food. The first brand-name in natural pet food and supplies, Castor & Pollux offers the most complete line of USDA-certified organic food for your pets in the USA. Originally a family-owned company, Castor & Pollux joined Merrick Pet Care Inc in 2012 to produce both dry and canned organic recipes. In 2015 Merrick was acquired by Nestle Purina. All products are manufactured in a USDA Certified Organic manufacturing facility in Amarillo, Texas, USA. Natural Ultramix which contains several healthy and well-balanced grain-free formulas. Organix whose formulas are packed full of premium USDA certified-organic ingredients (a minimum of 95% of ingredients are organic). Pristine (introduced in 2017) whose formulas all contain only responsibly sourced ingredients such as responsibly raised livestock, wild-caught fish, free-range poultry and produce grown without synthetic fertilizers or chemicals on ethically responsible farms. A leader in holistic pet nutrition, Solid Gold foods are often seen on top 10 best dog food lists compiled by dog nutrition experts, and in consumer reports. Solid Gold offers eight different dog food ranges, all made with premium ingredients and are specifically designed to suit dogs with allergies or sensitivities. There are formulas for all puppies, small/medium breed puppies, large and giant breed puppies, adult dogs, small breeds, large breeds, older dogs, all life stages, grain-free, low-calorie, high-protein... an extensive selection! All Solid Gold dry dog foods are packed in the company's special 'foil barrier' bags which eliminates the need for chemical preservatives or flavor enhancers. Avoderm's uniqueness and huge success is not only due to the premium quality of it's ingredients but to one specific ingredient... avocados. Avoderm pet food formulas are produced by Breeder's Choice Pet Foods, and industry leader who is considered to be one of the purest, premium natural pet food manufacturers - and has been in business for over 50 years. The addition of avocado makes this range a great choice for dogs with skin and coat problems and 'itchy/licky' dogs who have irritated or sensitive areas. It's been called a 'miracle' product and is one of the company's very best selling ranges. 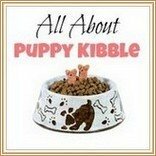 There are formulas for puppies, adult dogs, all-lifestages, small breeds, weight control and grain free needs. Avoderm now offers a fairly unique opportunity to add variety to Fido's meals without worrying about upsetting his tummy. Avoderms' 'Revolving Menu' dog food consists of three different formulas (three specifically for small breeds and three all adult dogs) which can be rotated regularly. The company also partners with a non-profit animal rescue foundation to help save pets who are out of time at local pounds and shelters as well as supporting ARF's Food Share program that helps low-income families feed their pets. All Avoderm (and Breeder's Choice) pet foods and treats are made in the USA. Nature's Variety offers a holistic range of dog foods, and all formulas are 100% free of corn, wheat, soy, chemicals, and artificial colors & preservatives. The Prarie range contains meat, poultry, or fish protein, whole grains, plus fruits and vegetables. The Instinct range is grain free, and there's also a frozen raw food option. Timberwolforganics.com offer a range of superior, carnivore specific, all-life-stages formulas made with high levels of animal based protein, multiple grains, fruits, vegetables, seeds and herbs. Timberwolforganics formulas are concentrated and nutrient dense, so your dog will get maximum nutrition from a smaller serving of food.. and pass fewer, more compact stools (which is good news at clean-up time).. There are seven formulas of Timberwolforganics Legends range... Black Forest, Dakota, Mediterranean, Ocean Blue, Southwest, Wild & Natural and Wilderness. Timberwolforganics have formulated their foods to be used in a rotational set up to give your dog the variety of nutrients he needs as well as reduce dietary boredom. You should be able to switch between formulas without digestive upset. Timberwolforganics foods are packaged in food-grade, tear-resistant, foil-lined, oxygen barrier bags which lock in freshness while protecting against environmental contaminants and shipping/transport damage. A holistic range of pet foods, made primarily with human-grade ingredients. Wellness uses whole foods, with no meat by-products, preservatives, fillers, or artificial colors and flavors. The CORE range is grain free and protein-focused. 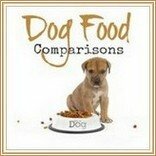 Includes complete meal formulas for dogs of all ages and sizes. New Core RawRev options combine Core kibble and 100% raw meat pieces, and Bowl Boosters Mixers & Toppers contain raw, freeze-dried meat which you can add to any food/formula as and when you want to. The Simple range has been designed specifically for dogs with food allergies or sensitivities. The Complete range offers a wide variety of nutritionally balanced formulas made with premium ingredients. Formulas for all ages and sizes plus grain free options. You can also find the TruFood range which consists of baked or dehydrated, nutrient-rich, raw ingredients. Can be fed alone, or as an addition to home-made diets. Based in B.C. Canada, this company produces the Now!, Go! and Summit dog foods. Now! is a totally grain free range and ingredients include only fresh, hormone free, deboned meats plus farm-fresh fruits and vegetables. There are no rendered meats or oils, no by-products. Low temperature, slow-cooking methods preserve the wholesomeness and nutritional excellence of the ingredients. These foods are particularly good for dogs with digestive tract problems such as IBS (irritable bowel syndrome/disease), Pancreatitis or Chronic Renal Failure. Formulas to suit puppies, adult dogs, all-life-stages and both small and large breeds. Go! Natural dog food is a completely natural, concentrated (or 'nutrient-dense'), all-life-stages formula designed to give your dog a well-balanced, wholesome nutrition from puppyhood to senior citizen status. Ingredients include fresh, hormone-free, deboned meat and fresh fruits and vegetables. There are four different foods, one of them is grain free. gather currently offers three dog food formulas created using only certified organic ingredients from sustainable and ethically responsible sources. Wild Ocean (line-caught cod), Free Acres (organic, free-range chickens) and Endless Valley (vegan recipe for adult dogs). 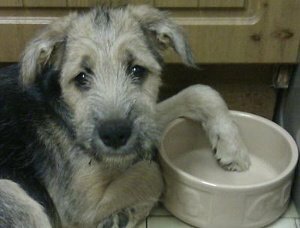 Dog food labels and packaging can be very confusing, and often misleading too. All sorts of claims, colorful graphics and advertising slogans can mask the reality of what is inside that bag. Plus the ingredient lists can be so long that your brain switches off half way through! So, where to start? With basic guidelines I think. This means that the food meets the AAFCO (Association of American Feed Control Officials) guidelines for nutrition and has been tested or evaluated in some way. 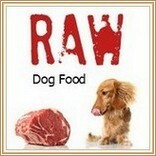 BUT, many poor quality dog foods carry this wording because the standards are not overly high. and very little relevance to the quality of the food inside the bag either. They're simply slogans used to promote that particular food brand, and to appeal to our human senses. So, the next thing to look at is the ingredient list itself, this is much more important and more revealing. The first 3 ingredients are the ones that make up the majority of the food and if you know what to look for you often don't even have to read further than these three to know whether or not it's a premium quality dog food or not. First on the list should be a good source of high-quality protein. You want to see it listed by name as 'chicken', 'lamb' etc. - just saying 'meat' is NOT good enough.That's a generic 'catch all' for a lot of stuff you'd rather not know about! Meal, as in 'Chicken Meal or 'Lamb 'Meal' is also fine, and should be just as nutritious as the fresh meat ingredient. But no MEAT-meal. Most premium foods will also contain some carbohydrates, usually from grains such as rice, barley or oats. This is fine, but you don't want to see half a dozen different grains or 'hulls'. Fats are important and the best sources are healthy oils such as olive oil or flax oil, or animal fats such as 'chicken fat' (again avoid generic 'animal fat'. Seeing Omega-3 and Omega-6 fatty acids is a good indication that you're looking at a quality dog food. Fruits, vegetables, plus added vitamins/minerals may also appear on the ingredient list of a premium food. All preservatives should be natural, such as Vitamin E or Vitamin C.
Avoid foods that contain artificial additives, preservatives, fillers or 'junk'. All ingredients should be from USDA inspected facilities if possible, or from facilities within countries that have rigorous quality control procedures that meet USDA requirements. The second most important aspect of choosing the best dog food is making sure that it's a good fit for your dog. What works for one dog, won't necessarily work for another... breed, size, age, activity level and so on, all play a part in determining the type of nutrition your dog needs to be healthy and happy. If your dog has chronic health problems, allergies and so on, it's important to know that some health conditions can be aggravated by particular ingredients, or need a very specific balance of nutrients, and there are special dog food formulas for these types of problems. 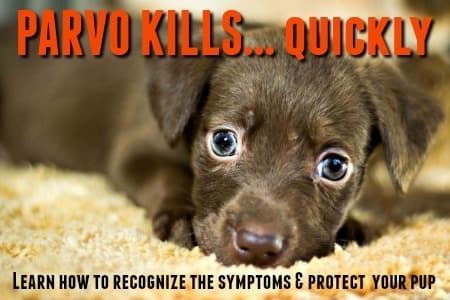 But, if your pup or dog suffers from a serious condition such as diabetes, liver disease, kidney disease, heart problems then you should always check with your own vet for advice on feeding him/her. 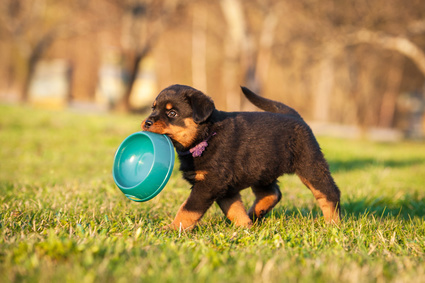 If you own a large or giant breed puppy, it's important to feed him a puppy food that is relatively low in protein. This is because big puppies grow incredibly fast and you want to control that growth rate as much as possible to avoid bone/joint issues. As with the foods themselves, manufacturing processes and quality control can vary a lot, and this also plays a big role in the quality of the food produced. 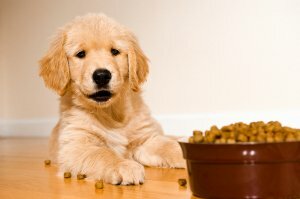 Most manufacturers produce dog food that is available in a range of formulas. 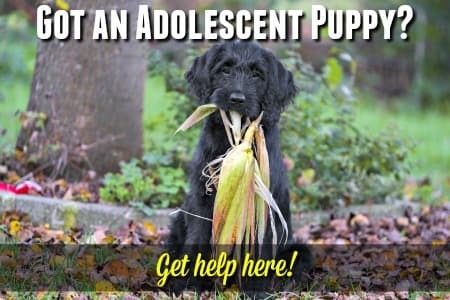 So, once you've found a food that contains the quality of ingredients that you want to see, you should be able to find a formula to suit every puppy or dog, regardless of age, size or breed. There is a little variation in the top 10 best dog food choices from each list, reflecting the changes in the dog food industry since Sarah's list was compiled. The reassuring news is that both lists contain many of the same brands, which shows that the majority of premium dog food manufacturers are maintaining a high level of quality in their products. 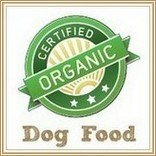 Because the most important thing about any dog food is what's IN it, it makes sense to choose a food that contains natural, organic and/or human-grade ingredients. The number of organic and natural food for dogs is growing all the time, with this sector of the pet food market outstripping any other right now - and this is expected to continue. 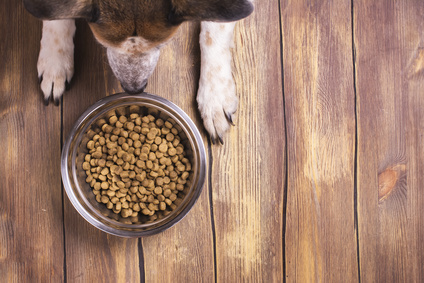 Not ALL foods labeled 'organic' or 'natural' are what they seem though, so it pays to know what to look for - and of course, why this type of pet food is one of the best options out there. If YOU 'are what you eat', then so is your dog! I can sum it up this way - if you steer clear of the generic, low quality dog foods and choose to feed one of the ones above (or a food of a similar quality), you'll be taking a big step towards keeping your precious pooch happy and healthy. Dog Treats are Food Too! You take the time and effort involved to make sure your dog's food is of the highest quality, because you care about what goes into his body. So, it makes sense to remember to check out his treats carefully as well. Many commercial dog treats are made with questionable ingredients including artificial colors, flavors, preservatives and so on. None of these are good for your pooch! There are a variety of safer, healthier options including healthy, natural or organic commercial treats. 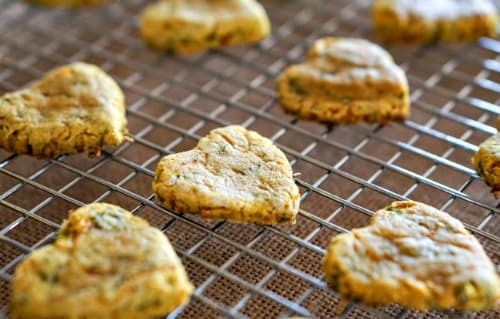 Raw or dehydrated meat, fruits or vegetables (you can make these yourself), freeze-dried liver treats, or why not make your own dog treats at home? That way you can control what goes into them, tailor them to your dog's size/taste and save money as well. Although deciding which food to use can be a challenge, hopefully the list above has got you pointed in the right direction! Getting the proper nutrition both as a puppy, and an adult dog, has a huge impact on your pet's overall health... even on how long he may live. 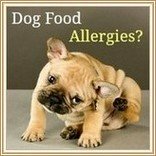 On the other hand, eating poorly formulated puppy or dog food can cause problems such as allergies, skin/bone/joint issues, chronic digestive problems, obesity, heart problems and more. In fact, the money you may end up spending at the veterinarian's office to treat the various health issues that could result from poor nutrition, could well mean that choosing a premium dog food in the first place works out less expensive over the long haul. 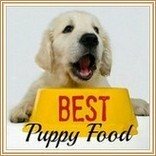 The 10 best dog food choices I've featured on this page are my personal choices, but there are a LOT of great dog food options out there. I would love to hear your recommendations, reviews, and experiences too. 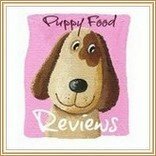 If you use a food that isn't featured on this site, but is of excellent quality and works wonderfully for your dog... then please share it! It only takes a minute, and your experiences and input could help other dog-lovers make the right choice.